Rajkotians Get Ready for the Shopping of Wedding Season!!!! 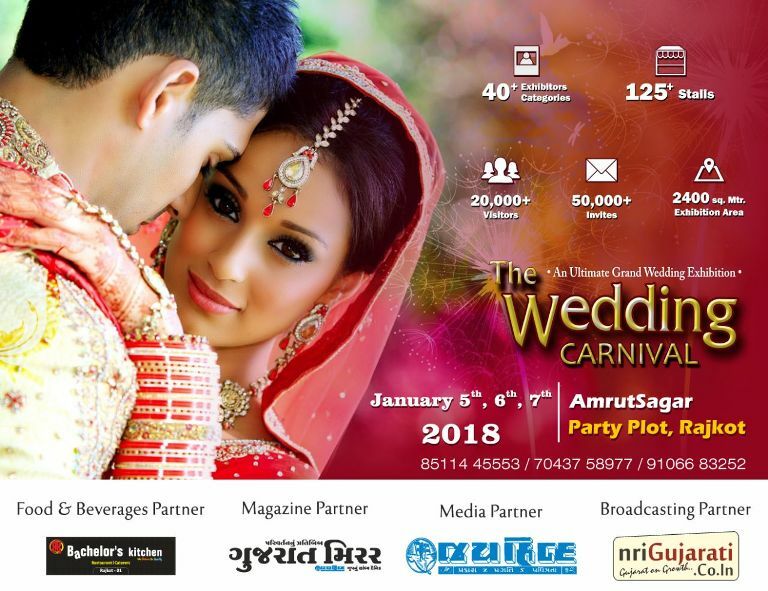 The Wedding Carnival is going to held on 5th, 6th and 7th January 2018. The Wedding Carnival Venue is Amrutsagar Party Plot Rajkot. 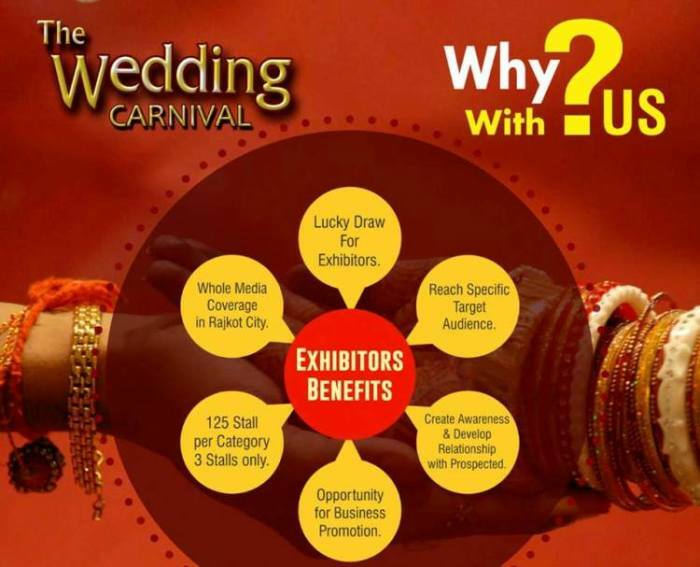 An Ultimate Grand Wedding Exhibition The Wedding Carnival 2018 in Rajkot for Three Days. 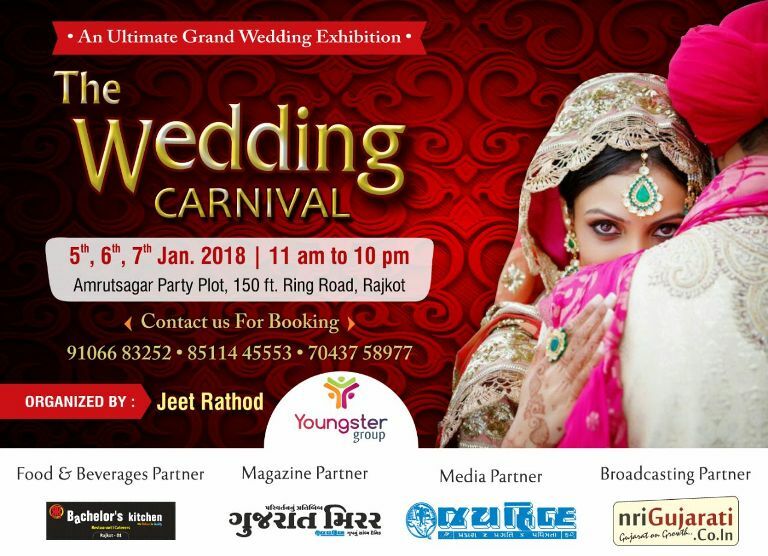 Youngster Group presents Wedding Carnival in Rajkot 2018. Wedding Carnival will display all the items related to Marriage in the Wedding Carnival 2018 Rajkot. Wedding Exhibition 2018 with lots of trending fashion for Marriage Season. 2018 Wedding Carnival in Rajkot will showcase lots of Latest Fashion Designer Outfit, Wedding Accessories, Footwear etc. 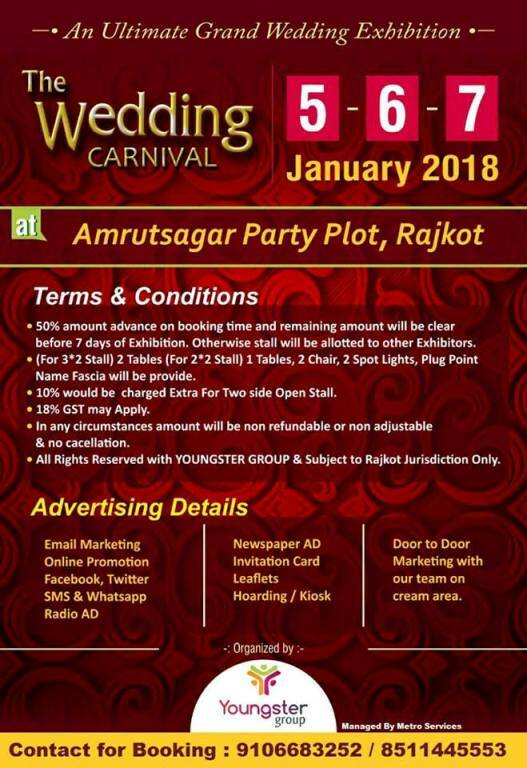 Youngster Group Presents Wedding Carnival in Rajkot at Amrutsagar Party Plot from 5 to 7 January 2018. 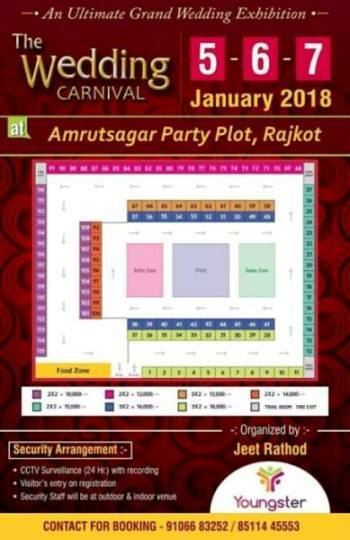 So Get Ready for Shopping of Upcoming Marriage Season in Wedding Carnival 2018 at Amrutsagar Party Plot Rajkot.